September 15th-October 15th is Hispanic Heritage Month in the U.S. I have been terribly behind in sharing about it and doing my post as part of the wonderful Multicultural Kid Blogs' Hispanic Heritage Month Blog Hop. Hunger Action Month for September took a lot of my time and attention. The other challenge has been that Caterpillar has been sick quite a bit lately (new germs coming home with Wild Thing from preschool and the Kids Club at the gym). Even though we have not shared about Hispanic Heritage Month it doesn't mean we haven't been aware of it or engaged with it. Spanish language learning is something we integrate into our learning and play activities rather routinely, and teaching my sons about countries, languages and cultures from all over the world is very important to me. In short, Hispanic Heritage is something I try to focus on with the boys throughout the year, not simply during this one month. I do this not only because their father's mother was from the Dominican Republic, but also because I realize that Hispanic Heritage has played a significant role in the United States, especially in Texas where I grew up and in California where we live now. Both have a very rich cultural, linguistic, and culinary heritage connected to both Spain and Mexico, specifically, as well heavy influences from many other Latin American countries. I feel it is important for my sons to grow up with an understanding and awareness of their own Hispanic Heritage and of the heritage of the state in which they live. Wild Thing gets so excited when he learns a new Spanish word and loves that his dad is a wealth of knowledge in that area -- I think what he loves the most is asking me how to say a word in Spanish and discovering that I don't know the answer and then asking his dad who does know the answer. The idea that Mommy doesn't know something seems to fascinate him. I don't mind at all as I love that we learn new words and phrases together. 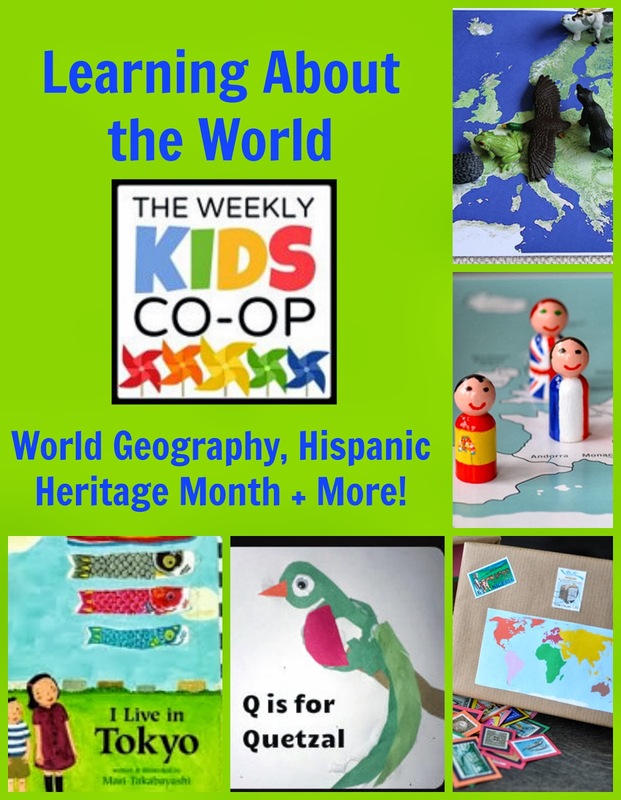 With all of this on my mind, I selected my favorite multicultural learning activities from The Kid's Co-Op last week. Here's a few that connect with Hispanic Heritage Month: Montessori-Inspired Spanish Activities from Living Montessori Now; Kids Yoga Stories - Learning about Latin America through books and yoga, and Q is for Quetzal, the national bird of Guatemala from Toddling in the Fast Lane who shares a fabulous looking ABC book, Guatemala ABC and a Quetzal craft. Toddling in the Fast Lane also featured a Multicultural Magnetic Doll that comes with outfits from China, Peru, Poland and Uganda. I also enjoyed these world geography and cultural activities: Exploring Europe with Flag Peg People from Sorting Sprinkles and her Stamp Sorting Activity for learning World Geography and History, Living Montessori Now's Montessori-Inspired Continent Activities with Animal Figures and Land Marks for Europe, and Kara's Classroom post on Global Kids - Japan. Bonus Shares: These two resources are not from the Kid's Co-Op last week, but are two of my favorite on-going series for learning about other cultures: World Culture for Kids from Mama Smiles and Around the World in 12 Dishes from Glittering Muffins. Last October, Mexico was the selected country for Around the World in 12 Dishes and over 20 recipes and activities are linked up - this month would be a great time to check it out. 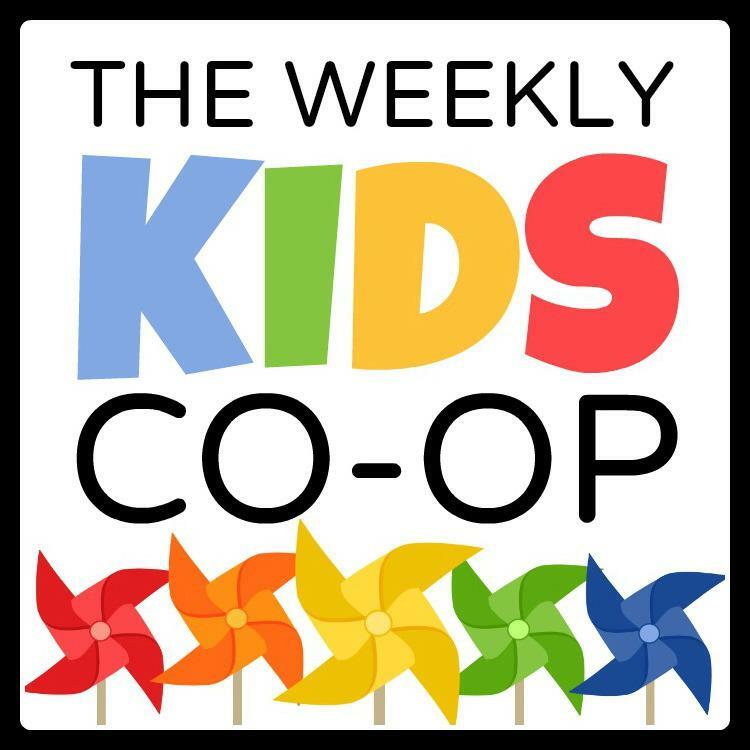 Thanks for joining us at The Kid's Co-Op! I also shared this over at the After-School Linky, which right now has lots of fun Halloween ideas.